Beautiful Hand Painted Grey Wash Wood Farmer's Jupe Dining Table,54''D x 30''H. Splendid Solid Walnut Wood Jupe Dining Table,70''D (open) x 30''H. 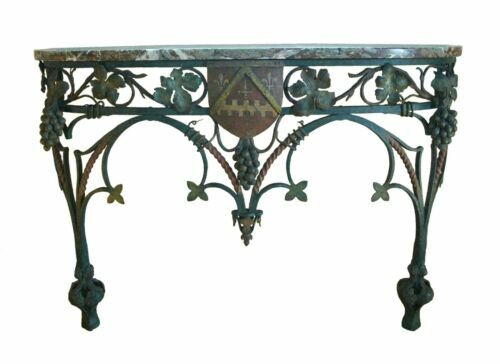 Antique Console Table, Carved Hall Table, French 1880, B777 REDUCED!! !